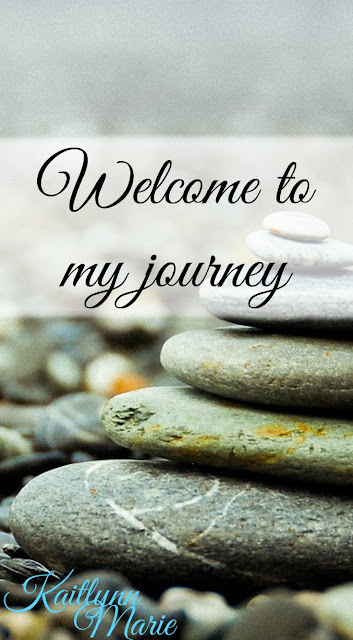 Welcome to part three of my little moving series! I'll be honest, it's been hard writing these while in the process of moving! But, here we are. To recap, we've talked about finding a new place to live, and then we talked about packing tips. 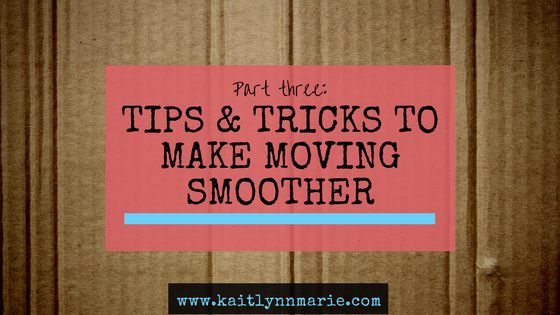 Today we're talking about tips to make the actual process of moving smoother. Let's jump into it! The first thing you should know is if you need a Uhaul (or similar moving truck). You should decide if you are going to hire a moving company, or if you're doing it yourself. If you're doing it yourself, do you need to rent a truck, or not? Once you decide, you should shop around. If you're hiring a moving company, look at reviews and prices and pick the best match for you. If you're renting a truck, you need to make sure you get the right size. If you're moving out of your parents house and only have one bedroom's worth of furniture, you don't need a 15 foot truck. But, if you're moving an entire house with multiple bedrooms, a 15 foot truck is far too small. Some people think getting the smaller truck and making a few more trips is worth it, but they forget to factor in the cost of gas and mileage. We try to find out how many miles we'll be going before we even rent the truck, so we can estimate how much it will cost. Aside from a truck, if you're not hiring a moving company you'll need some help. And, regardless of how much of a feminist you are, strong men are always necessary. Can my sisters move the washing machine from the basement to the truck? Sure. Can my sisters boyfriends do it easier? Absolutely. But, make sure you know if they want to be paid, how much, and if they expect you to provide lunch/dinner on moving day. We often pay our helpers $10-$20 each and provide a grinder for lunch and pizza for dinner. It's the easiest way to feed everyone and we always have help because we offer cash for their efforts. You should also try to have everything but the essentials packed before moving day. We almost always fail at this! But it's much easier to move if you're not packing things at the same time. So keep out bedding, one cup per person, buy some paper plates and plasticware, and keep whatever pots/pans you might need for the first few days before and after moving day. Everything that you don't need immediately before and after moving day should be packed at least a few days in advance. All drawers should be empty, and floors should be clear. If any doors have to be removed to get furniture through, do it before moving day if possible. When moving heavy furniture, dismantle it as much as possible. I know I have a desk that the legs and base come off, but the "body" doesn't come apart. It's a beast, and we always hate moving it. I also have a chest and a nightstand that I can't take the drawers out of. They're light, so it's not awful, but my sister has a dresser that is so much heavier with the drawers in even when they're empty! Plus, if you take the drawers out, you can use them to pack stuff in minimizing the need for boxes or totes. You should also try to measure your furniture and hallways at the new place. There are times when you get things moved in and find out that your bed doesn't fit up the stairs! You don't want that to happen, so you should try to measure things first. Also, and this isn't a "moving" tip, but if you have a queen size bed, you should look into a split foundation. Usually mattresses can be folded and manipulated to fit in narrower hallways and staircases, but you can't bend a wooden frame. If you've encountered issues with a full size foundation, which is only a few inches smaller than a queen, they make split full foundations as well! When loading the truck, load the mattresses and headboards first. You'll want to try to use as much room as you can, and unless you can load a full wall of boxes/totes, it's best to have the beds in the back because they're the largest pieces of furniture. You should also load chests and dressers toward the back, and put boxes on top of them. Try to avoid having any loose items in the truck. Make sure to find out if you can use the hand truck provided or if it is an additional cost. Sometimes they'll put it in the truck and not mention it, so people assume it's free to use. Often it is not, it's typically an additional $5-$10 charge. I would suggest opting to get the hand truck if you have several appliances to move. It was definitely helpful when we moved the washer and dryer this last time! When taking things off the truck it might be tempting to just pack everything into random rooms. This is a mistake. You're going to want to put things in the rooms they belong in. 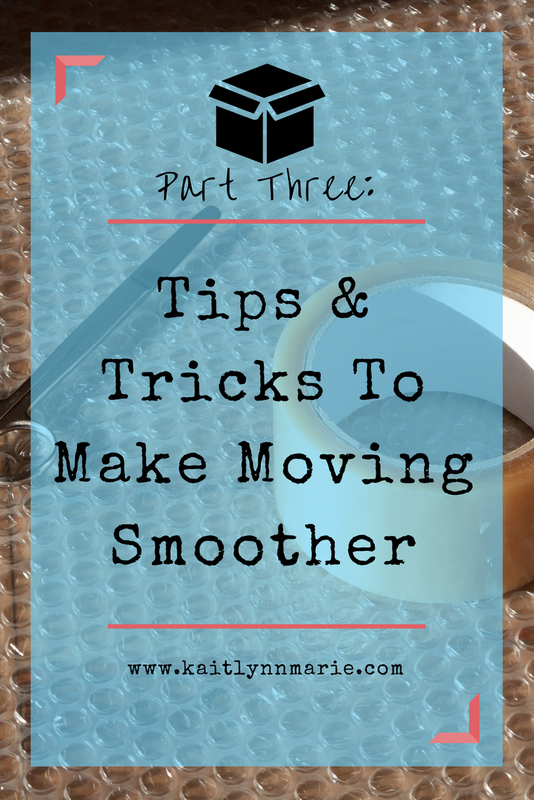 It will make unpacking so much easier! We try to do this every time we move, but sometimes things get mixed up and you end up with things in the wrong room. This isn't a bad thing, per se, but it's easier to just have everything in the right rooms. This is why proper labelling is essential. Those are my tips! I've learned these from moving several times in my 26 years of life and am glad to pass them along! If you can think of any more tips, leave them in the comments below!